Peter Jackson has weighed in on the case of a Turkish man, Bilgin Ciftci, who might be sent to jail for allegedly posting pictures of his country’s president that compared him to a character from The Lord Of The Rings. Ciftci’s troubles stem from a Turkish law that says it’s illegal to insult the country’s president, with sentences of up to four years possible for those convicted. 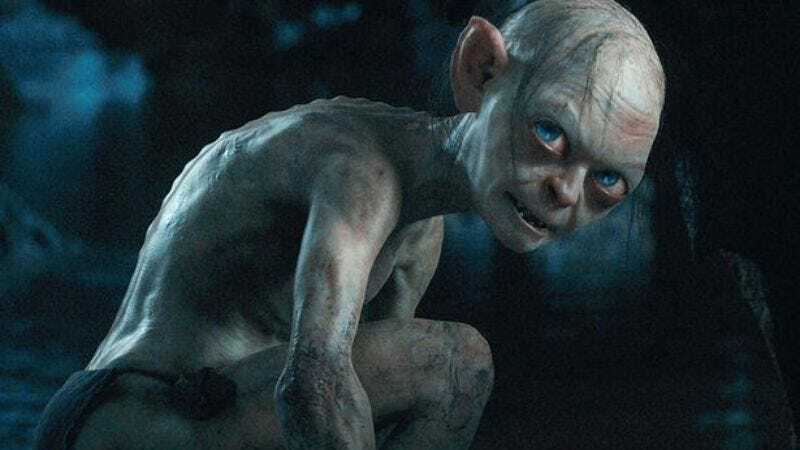 To that end, Ciftci’s legal team has apparently decided that its best tactic is to prove that the character in question—Gollum/Smeagol, as played by Andy Serkis in the films—isn’t evil, meaning that the comparison couldn’t be taken as an insult. And thus began what may be the most high-stakes nerd fight in the history of Turkey, with the courts apparently convening “a panel of psychologists and film experts” to determine whether Tolkien’s famously complex creation is a bad guy or not. But Jackson—writing a joint statement with his co-writers, Fran Walsh and Philippa Boyens, which was published on The Wrap—says that everyone involved has missed the point, because the character in Ciftci’s photos isn’t Gollum at all. “If the images below are in fact the ones forming the basis of this Turkish lawsuit, we can state categorically: None of them feature the character known as Gollum. All of them are images of the character called Smeagol.” Utilizing the powers of pedantry for good (in what may be the first instance of such a thing, ever), Jackson went on to praise Smeagol as joyful and sweet, and stated that he should never be confused with the malicious Gollum. Indeed, looking at the photos—which show the character smiling, and large-eyed, both of which were used in Jackson’s films to distinguish Smeagol from the darker Gollum persona—it’s pretty clear he’s right. (Scholars of the books will also note that Tolkien himself supported some sort of split between the two characters, denoting changes in his speech patterns and manner when his less-evil self was in control.) We can only hope that some enterprising Turkish attorney will read Jackson’s statement and present it in court, because a situation in which a man could be jailed for two years of his life for posting a picture online could probably use a little lightening up.